Our house is situated directly in the center of Ischgl. Quiet and away from the stress because the hotel is located in a private street but still just a few minutes away of the center. We offer you 5 vacation rooms for 4 to 9 persons. Every vacation room is lovely and comfortable furnished and has every comfort you need. Our apartment house contains a sauna steam bath infrared cabin heated ski- and shoe-room parking facilities and a parking garage. Additional to all these we offer you a roll service or breakfast from our buffet. Walking tours in the wonderful Silvretta mountain world. A visit of Zammer Lochputz is always a highlight. Schnaps brewery visit in the famous Pflaumenparadies Stanz. 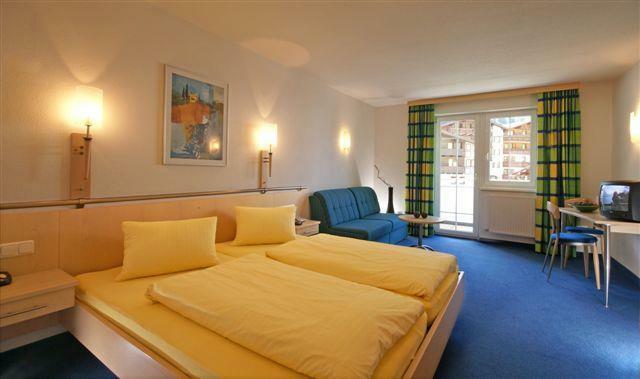 As the hotel is situated very central trips to Zuerich Meran and Innsbruck are always possible.